Women in Oregon will be able to get their birth control without ever walking into a doctor’s office after a new law comes into effect in January 2016. 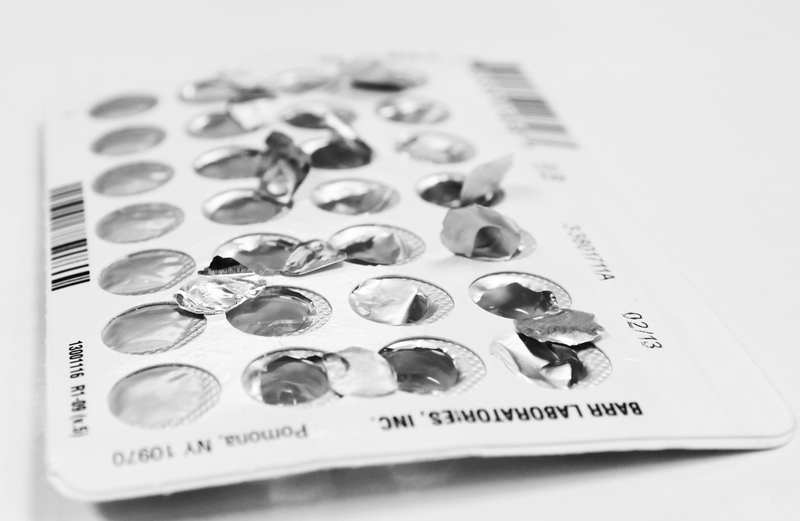 Policymakers in Oregon and California have recently passed legislation allowing pharmacists to prescribe birth control pills, patches, and rings. Pharmacists will be required to scan for risk factors such as smoking and history of blood clots. In certain cases, a woman’s blood pressure will be checked before she is prescribed estrogen-containing pills. Those in favor of the changed policy cite birth control’s relative safety. Few women have adverse reactions to birth control, and these risk factors are simple to identify by using checklists that the pharmacists can review. In fact, birth control pills meet the Food and Drug Administration’s (FDA) criteria for over-the-counter safety, though no birth control manufacturers have applied to sell birth control pills in this way. While a pharmacist’s training is not as extensive as that of a physician, pharmacists have a deep understanding of birth control and its appropriate uses and side effects, and are viewed as highly qualified to determine whether it is a safe and appropriate family planning measure for a woman to take. Many, therefore, view this change as an increase in access with no real increase in risk. Yet others believe that this new policy will do more harm than good. A woman’s need for birth control has typically required her to visit a gynecologist, which potentially incentivizes her to undergo screenings such as Pap smears. Pharmacist-prescribed birth control could, in some cases, reduce a woman’s likelihood to see a gynecologist regularly for matters not related to contraceptives. It could also eliminate a relationship between a woman and her gynecologist, who could answer additional follow-up questions in the future relating to contraceptive-use and female health. But while Pap smears and regular gynecological visits are undoubtedly important, why should access to birth control depend exclusively on a woman’s willingness to undergo screenings or ability to visit a health center? The integration of birth control in a safe and reasonable way into other sectors of the health care system respects a woman’s right to contraceptives and family planning. Some argue that this policy change does not go far enough in the effort to increase access to contraceptives. They argue that the policy simply exchanges one intermediary for another, and that women should be able to access birth control without any intermediary steps. They worry that policies such as those in Oregon and California will slow efforts to provide birth control as an over-the-counter drug. Dr. Mark DeFrancesco, president of The American Congress of Obstetricians and Gynecologists, stated, “My basic tenet is there should be nobody between the patient and the pill.” However, over-the-counter access to the pill is complicated for several reasons. Aside from risks involved with unregulated access to birth control, insurance coverage of birth control may be jeopardized if it were to transition to over-the-counter status. The Affordable Care Act mandates coverage of birth control only in instances in which a patient has a prescription. Therefore, women would be paying largely out of pocket for birth control obtained without prescription. These policy changes are part of a larger movement to increase access to and options for family planning and reduce unplanned pregnancies. Another important change occurring in the realm of family planning is the increased use of long-acting birth control, such as intrauterine devices (IUDs). The IUD is the fastest-growing method of birth control in the US, but it has not quite reached the popularity of other methods such as the pill and condoms. In 2002, 2.4 percent of women used long-acting birth control methods. This share reached 11.6 percent in 2013. While methods such as the pill, patch, or condoms require action and can fail if used improperly, the IUD is effective long-term with little to no effort. Thus, IUDs are often recommended for teenagers and young adults who do not anticipate a desire to have children for several years, even though IUDs can be removed at any time. While debates in the US focus on the best possible methods of birth control and the most equitable and safe ways for women to access it, the situation is grimmer in other parts of the world. The World Health Organization (WHO) reports that an estimated 225 million women are not using any method of contraception, despite their desire to delay childbearing. The WHO and non-profit organizations such as EngenderHealth view access to family planning as a human right, giving women control over their lives and improving women’s health. Data shows that up to one-third of maternal death and illness could be prevented if women had access to contraception. Increased access would allow women to delay childbearing, prevent rapid subsequent childbearing, and avoid having more children than is safe. Family planning also has been shown to reduce infant mortality by improving the timing of births. While advocates of family planning in the US try to integrate family planning into easily accessible sectors of the health care system, the efforts worldwide must still focus on integrating family planning services into primary care. The accessibility of both short-acting and long-acting birth control is being pushed to its limits, and there is great hope for positive outcomes. The teen pregnancy rate in the US decreased 51% from 1990 to 2010. State Representative Knute Buehler also pointed to family planning’s importance in poverty reduction because “one of the key things for women in poverty is unintended pregnancy.” Family planning, both in the US and worldwide, is coming to the forefront of conversations related to human rights, feminism, and poverty. At this point, however, it is difficult to determine how far policy makers will go to ensure the reproductive rights of women across the country and across the globe.